The Triangle Business Journal has released their winners of the 2017 Residential Real Estate Awards and I am thrilled to be among them! This honor goes to a few of the top real estate agents in the Triangle area based on home sales volume. I’m so pleased to have all of our team’s hard work recognized! I’m proud to say that our team was able to rank among the top 25 agents in the Triangle area. This number was determined by sales volume from 2016, and our numbers were certainly nothing to sneeze at. Last year we did $18.9 million in sales, with a total of 102 transactions. 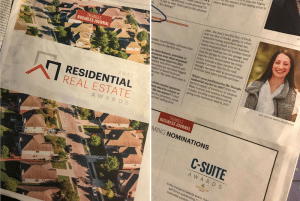 This was truly an awesome accomplishment and I couldn’t have done it without the hard work and support of everyone at Jaclyn Smith Properties. I’d also like to give a big thank you to One27Homes and their continued dedication to quality construction: It’s easier to sell a home when they’re creating amazing homes that people want to buy! Finally, I’d like to give a huge thank you to all of my clients! I love my job, and it’s so easy to love when my clients are people who I want to work with. You make every day a joy, and each one of the 102 transactions of 2016 was a pleasure. I’m looking forward to making this year as awesome as 2016 was! As crazy as it may sound, we are on track to nearly double our transactions from last year. I’d love to work with you to sell your home. Just give me a call and I’d be happy to work with you to find your dream home or sell your current property! See below for my full interview from this month’s issue of the Triangle Business Journal! How long have you been licensed in North Carolina? Since December 2013. Describe one or two of your greatest sales accomplishments in 2016. 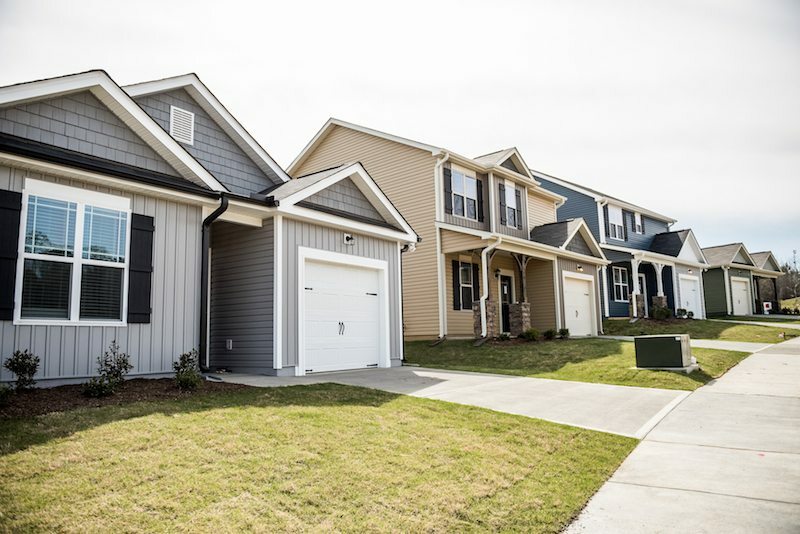 Launching the community, Parkview, and watching it flourish with continued sales and happy homeowners, as well as helping my builder, One27Homes, sell more than 100 homes for the first time. Name three features, amenities or requirements most often requested by Triangle home buyers in 2017. Affordability, first-floor masters and open-floor plans are the three biggest requirements I’ve heard from our buyers this year. The open-floor plan is here to stay. What is one of the craziest questions you’ve ever been asked by a buyer or a seller? How did you answer? I once had a buyer pass on a premium, pond-front lot with our best-selling floor plan. She had a terrible fear of birds, and the idea of ducks, geese, or other waterfowl being anywhere near her home was too much to bear! Another buyer requested that the builder install a cat door leading into the garage, and that the garage be fully insulated so that her kitty would never be chilly. It was actually a deal-breaker if we couldn’t provide this! In the end, though, we were able to accommodate both the bird hater and the cat lover. What’s your prediction for the Triangle residential market in 2017? With the limited supply of inventory in western Wake County and eastern Johnston County, housing under $300,000 is going to do extremely well in 2017. Congrats Jacyln on your team’s accomplishment. We are ready to build again! Let’s chat soon.